Founded in the late nineteenth century, the Megiddo Mission is an apocalyptic religious movement that continues to claim a small but dedicated following. Waiting for Elijah is the first book-length study of this unusual sect, which commands attention both for its powers of survival and for its unique blend of faith and practice. Over the course of the church’s history, its adherents have combined patriotism, redefinition of gender roles, perfectionism, and communitarianism with elements of middle-class capitalism. The church originated in the itinerant ministry of a Civil War veteran named L. T. Nichols, whose controversial preaching led to his being shot and wounded. Originally known as the Christian Brethren, Nichols and his followers relocated from Oregon to the Midwest in 1883 and some years later embarked on an evangelistic ministry that entailed traveling up and down the Mississippi River system on a large steamboat. In 1904, the group moved to its present home of Rochester, New York, from which its missionaries traveled throughout the United States and Canada. They took the name “Megiddo” from a strategically located city in ancient Israel, which to them signified a place where soldiers of God gathered to renew their strength and courage. 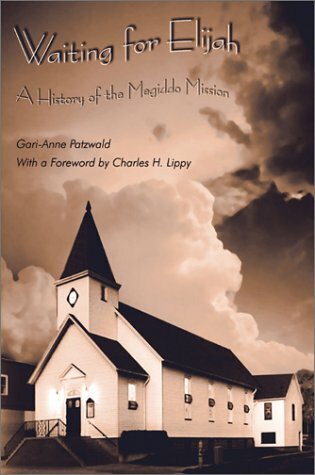 Drawing on diverse sources—including the writings of Nichols and his charismatic successor, Maud Hembree; newspaper accounts; and interviews with present-day Megiddos—Gari-Anne Patzwald traces the group’s intriguing history and analyzes its core beliefs. As she shows, the sect’s roots can be found in the Restorationist movement of the early nineteenth century, which sought to recapture biblical truth and practice. A focal point of Nichols’s preaching was the assertion that the Hebrew prophet Elijah would return in bodily form prior to the second coming of Christ and the final culmination of history. Certain Megiddo practices—such as conservative dress and celebration of Christmas in springtime—have, to some in the American mainstream, marked them as outsiders. And indeed, as Patzwald notes, the group displays many characteristics of an enclosed communal society. Yet the Megiddos have always rejected a community of goods in favor of individual initiative and entrepreneurship, and these attributes, Patzwald argues, have done much to ensure the group’s survival well beyond its original generation of followers. The Author: An independent scholar, Gari-Anne Patzwald holds master’s degrees from the University of Wisconsin–Madison and the Lexington Theological Seminary. She is the associate editor of the Historical Dictionary of the Holiness Movement. "Readers will come away from this study with a deeper appreciation of Restorationist currents in American religious life and a better understanding of how to study what some have called the perfectly stable sectarian group, one that has never taken the time-honored path of moving from the margins and into a structured denomination. Patzwald brings to life the Megiddo Mission Church as it awaits Elijah's return to inaugurate the culmination of history itself."